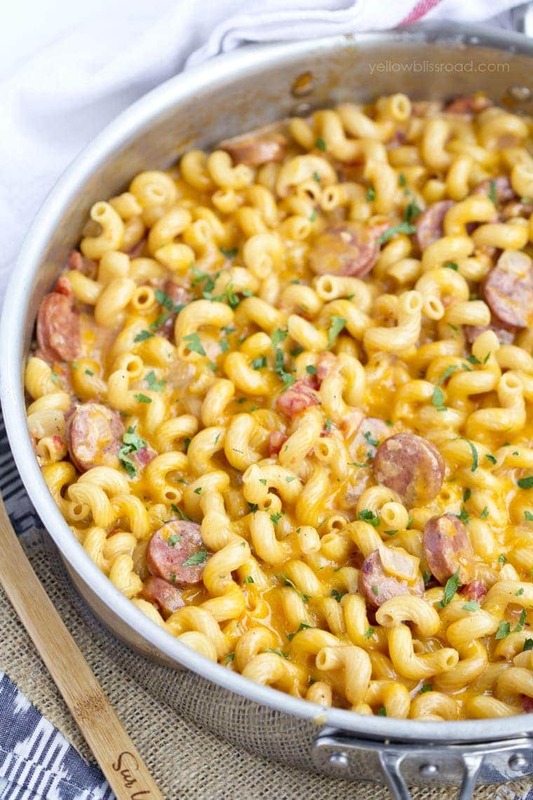 With fall quickly approaching, we start thinking about comforting and satisfying meals to warm our bellies. 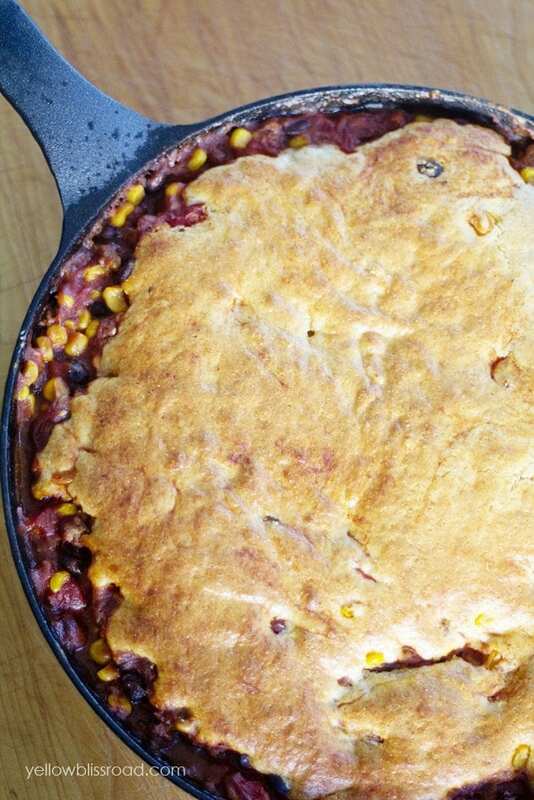 This chili and cornbread skillet is perfect and so easy because it all cooks in pan. 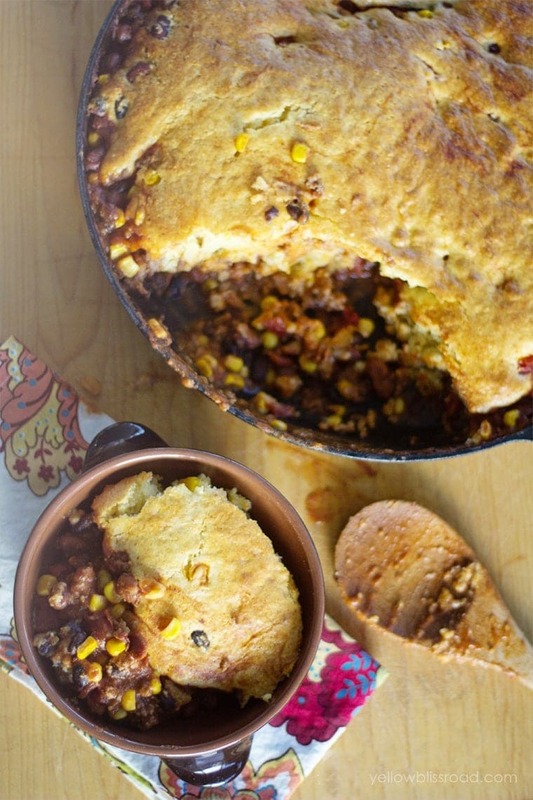 I love an excuse to break out my cast iron skillet, and this chili and cornbread recipe is the perfect one. The first time I made it I had just bought my first cast iron skillet and I knew this would be the perfect dish to break it in. Have you used a cast iron skillet? I felt like I was really behind the times because it seemed like everyone had one – and they all had advice and tips on how to use it – it was scary! Season it really well, don’t put this in it, don’t clean it like this…seriously it was nerve wracking because I was afraid I was going to ruin the thing! But after seasoning it really well (a couple of hours in a 250 degree oven with a thin layer of vegetable oil did the trick), and letting it rest overnight, my chili and cornbread skillet was a success. 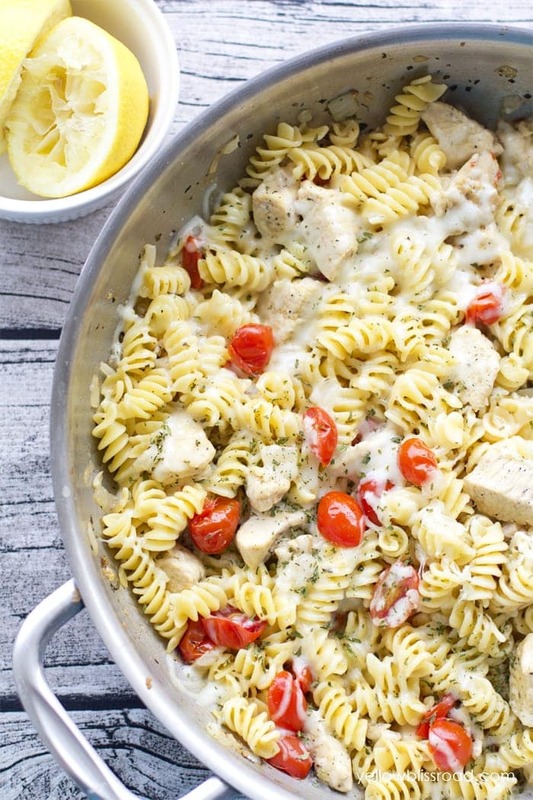 This meal couldn’t be easier to make. 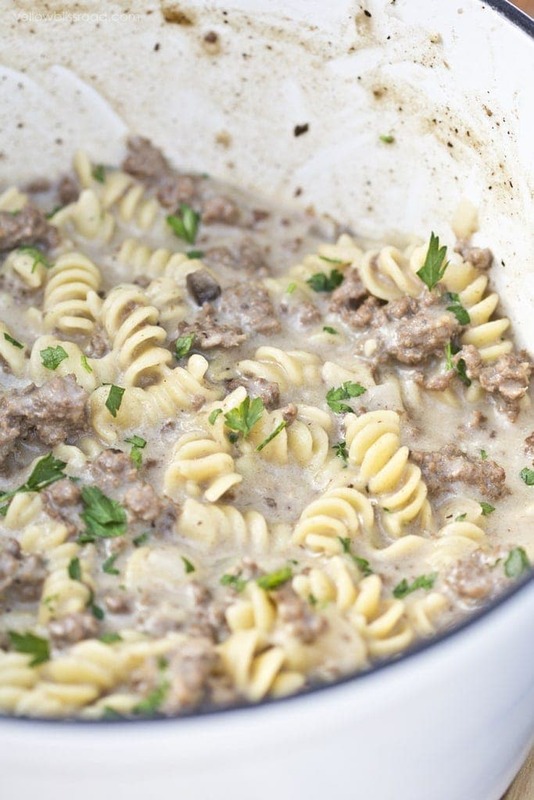 Start by cooking ground beef over medium heat in a 12 inch, oven safe skillet. This would also work in a shallow, 5 quart (oven safe) saute pan. Add the rest of the chili ingredients, chili beans, diced tomatoes, black beans and corn. 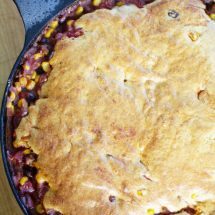 While the chili is simmering, preheat the oven to 400 degrees and mix up your cornbread. I just use a box mix, but you could use a homemade version as well if you like. I like to throw in a cup of shredded cheddar, but that is completely optional. Turn off the heat and drop spoonfuls of cornbread batter evenly over the top of the chili. As you are dropping, gently spread the mixture around so it doesn’t all settle in one spot and you can get an even crust. Depending on the size and depth of your pan, take the batter as close to the edges as possible. Bake at 400 degrees for about 20 minutes, or until the cornbread is beautifully golden brown. Check to make sure that the cornbread is cooked through before dividing into bowls and serving. Top with sour cream, onions and shredded cheddar if desired. 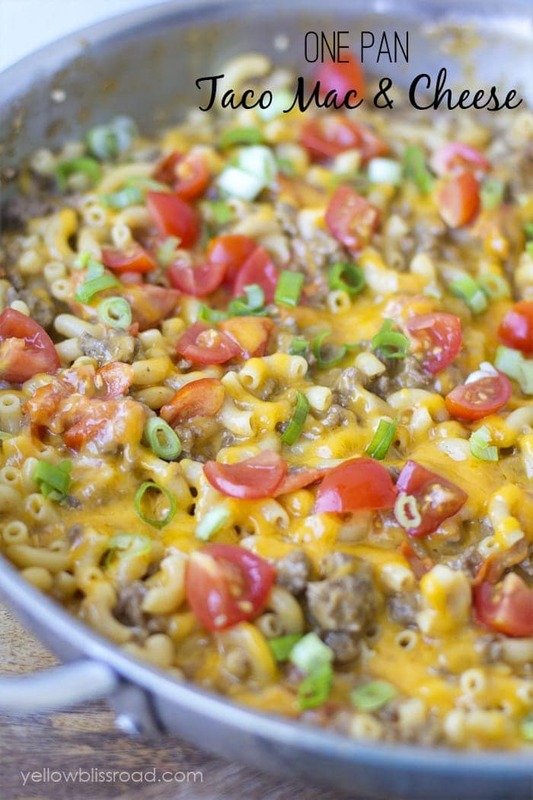 In a 12" oven safe skillet, cook ground beef until no longer pink. Drain. 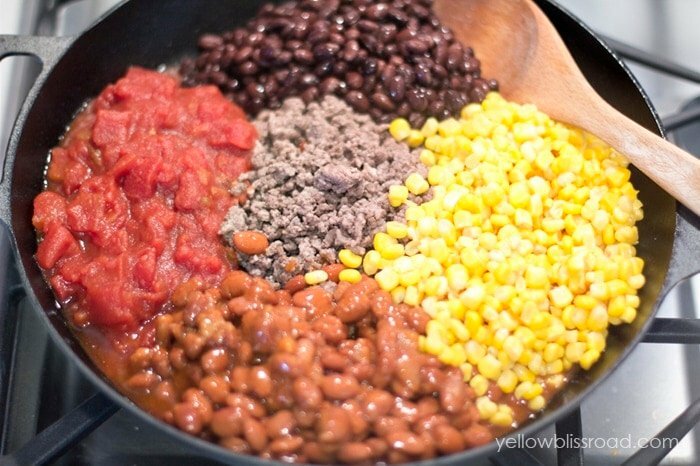 To the cooked ground beef, add black beans, tomatoes, chili beans, corn and tomato sauce. If you want an extra kick of spice, add a couple teaspoons of chili powder. Stir together and bring to a low boil. Simmer for ten minutes. While the chili is simmering, mix up the cornbread using the box mix plus the ingredients it calls for, such as eggs, milk, and oil or butter. Add the cup of shredded cheddar and gently stir just enough to incorporate. 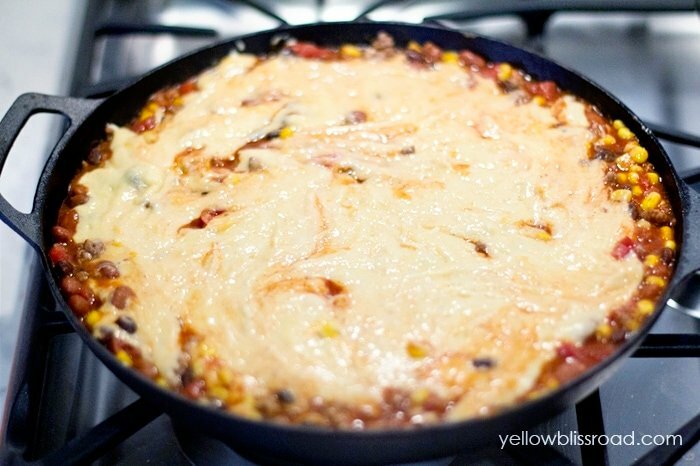 Remove chili from heat and drop cornbread batter by spoonfuls over the chili, gently spreading to the edges. Bake in a 400 degree oven for about 20 minutes, or until the top is nice and golden brown. Check the cornbread for doneness before dividing into bowls and serving. For all One Pan Meals go HERE, for all dinner recipes go HERE and for all recipes go HERE.